Corporate Gifts Cape Town is part of Brand Innovation a corporate gifts and promotional products supplier in South Africa. 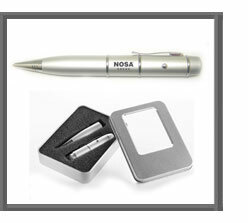 We are a premier supplier of corporate gifts and promotional products in South Africa. If you are looking for the best corporate gift company in South Africa, look no further. Below is a list of our most popular and recommended corporate gifts and promotional items. 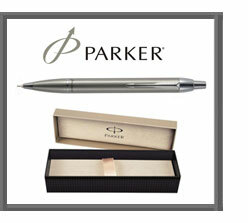 Our most popular Parker pen is the Parker IM Stainless Steel Ballpoint Pen. This great gift pen is the perfect corporate gift for executives and clients. Giving an engraved Parker pen is a fantastic corporate gift. Our 4GB USB pen with a laserpointer is a fantastic corporate gift idea. This is a very useful and innovative gift that is sure to be hit. The USB pen comes in a great metal tin box. A Memory stick is always very handy and appreciated as a promotional gift. The 4GB Swivel USB flash drive is our most popular usb. This USB makes a great corporate gift idea. 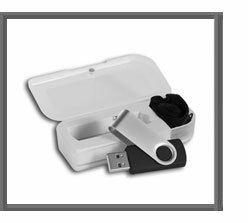 Our Swivel USB drives are presented in a great presentation box with a lanyard. 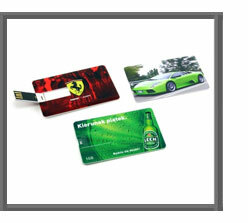 We supply these fantastic Key USB drives in South Africa. 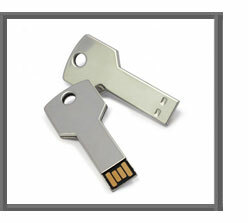 These key shaped flash drives are available in various capacities, with the 4GB being the most popular. The Key usb stick is presented in a plastic case and can fit onto your keyring with the rest of your key. 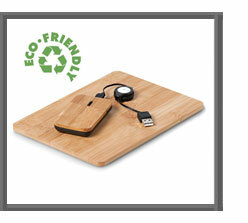 Our 4GB bamboo flash drive is a great eco friendly gift from Brand Innovation. These great wooden usb drives are made from bamboo, the most renewable and fastest growing plant on earth. 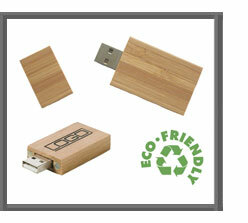 We engrave your company logo on these great bamboo flash drives. The bamboo mouse and mousepad is a great eco friendly corporate gift combo made from renewable and sustainable bamboo and Abs. This is a very unique and useful gift idea. Our Slazenger Soft Shell Jacket is the perfect corporate clothing jacket for winter. The Slazenger soft shell jacket is a stunning, high-quality. 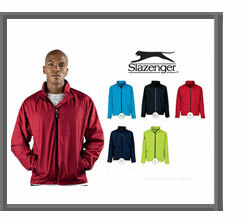 The Slazenger soft shell jacket is available in a men’s and women’s style. 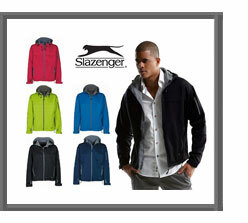 The Slazenger Trainer Jackets are great windproof and waterproof jackets with a fold-away hood. This is a great promotional jacket and can be branded with an embroidery of your logo. The Slazenger 3-In-1 Jacket is a great winter jacket. 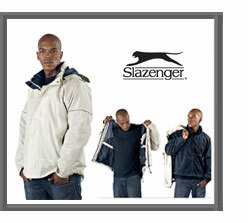 This great Slazenger jacket is a full jacket with an inner and outer jacket that can be worn separately. This corporate gift jacket can be branded with an embroidered logo. 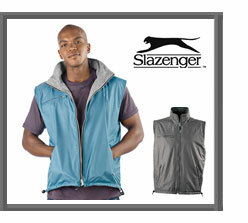 The Slazenger Reversible Bodywarmer is fantastic Slazenger bodywarmer option. This bodywarmer is very popular and makes a great addition to your corporate clothing uniform. This body warmer is reversible and can be worn inside out. 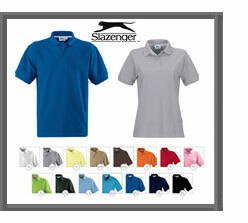 The Slazenger cotton golf shirt is a very popular golf shirt option. This corporate golf shirt is a great quality shirt made from 100% combed cotton. This golf shirt is available in a wide variety of colours to match your corporate colours. 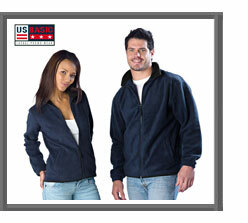 The US Basic Houston Fleece Jacket is a great fleece jacket option. A fleece jacket is a very popular choice as part of a corporate uniform. These jackets are classic and can be branded with your company logo. We supply fleece jackets in South Africa. 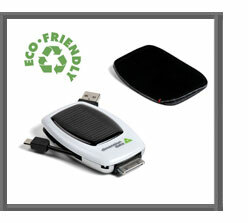 The Solar Charger is a great eco friendly corporate gift. This charger has a USB, Micro USB and iPhone / iPad output plugs to charge your mobile devices. This unique credit card USB is a thin and light USB option that fits neatly into a wallet, handbag, business card holder and card slots. This greatcredit card USB flash drive provides you with plenty of branding space and can even be used as a business card substitute. 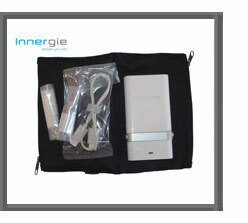 The Innergie mCube Pro is the ideal travel gift. This universal adapter has most mobile device attachements. 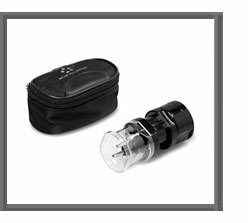 With its unique detachable Auto/Air adapter feature you may charge your devices on airplanes, in cars and everywhere you go. This Travel Adapter corporate gift is perfect for those on the move. This adapter has a 3 different outlet adapters to fit a power outlet in any country. This universal adapter is presented in a great travel pouch. The Berkeley A4 conference folder is perfect for business functions. 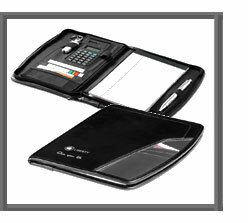 This document folder includes a writing pad, business card slots, a pen holder and a 8-digit solar powered calculator. The Balmain Chantilly gift set makes a great corproate gift for end of year functions. 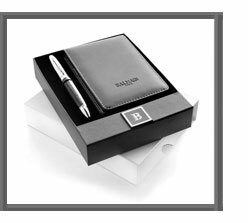 This gift set contains an A6 Balmain notebook with a simulated leather cover and a Balmain ball pen, presented in a stylish gift box. The Balmain Appellate is a very popular gift set. 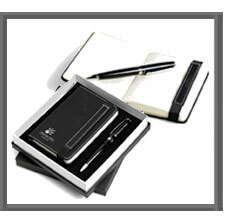 This gift set contains a simulated leather notepad and a Balmain pen with a barrel wrapped in genuine leather. This corporate gift set is presented in a stunning gift box. 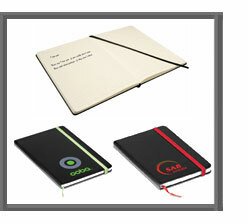 The Eco-Logical Notebook is a great environmentally friendly corporate gift. This notebook is made from 100% recycled cardboard with 30% recycled paper. It includes a eco bookmark and eco friendly pen. 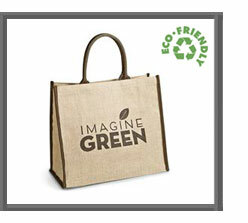 The Greenvale Shopper is a eco friendly shopping bag made from recyclable and renewable resources. Giving an eco friendly gift shows your company's support for going green. The Friendly Shopper is a very popular promotional shopping bag. This is a jumbo shopping bag with front pocket. The Friendly shopping bag made from a non-woven polypropylene material. 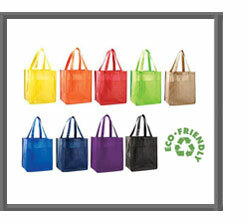 This bag is eco frienddly and is reusable & recyclable. Drawstring bags make great promotional gifts and giveaways. 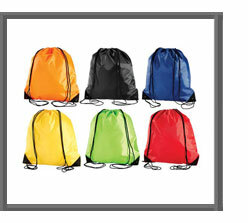 These drawstring bags are great for branding with your company logo. 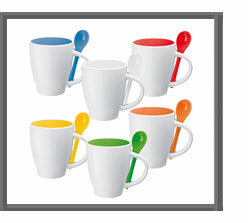 This ceramic coffee cup and spoon set makes a great corporate gift. These unique mugs have a coloured inner and a matching colour spoon that fits into the mug handle. 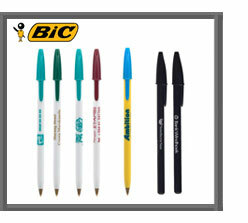 Printed Bic Stic Round pens are an all time favourite in South Africa. These promotional pens are a cost-effective and versatile way to market your business. A pen is used daily by everyone, and having your logo on the pen barrel is a constant reminder of your company. 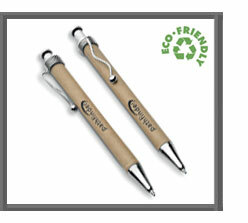 Newhaven Eco-Logical Pen is a fantastic eco friendly promotional pen. The barrel is made from recycled wood pulp and the clip & tip from polished chrome. 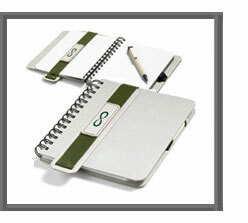 The New Haven is stylish and environmentally friendly and is a great promotional item. The colourburst mouse pad is a great corporate gift mouse pad with a gel wrist support. 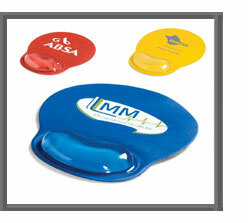 This mouse pad is available in a range of colour and can be branded with your logo. This is a great gift for the office. The Carry Cooler is a great corporate gift 6 can cooler bag. 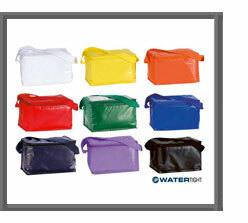 This is a great promotional gift for events and can be used as a lunch bag. This cooler is watertight, and has insulated padding. A thermal travel flask makes a great corporate gift. 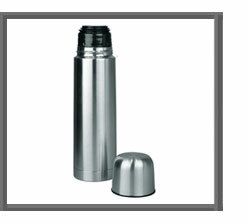 This is a double-walled stainless steel thermal flask, with easy closure metal mug. This corporate gift flask has a capacity of 500ml.